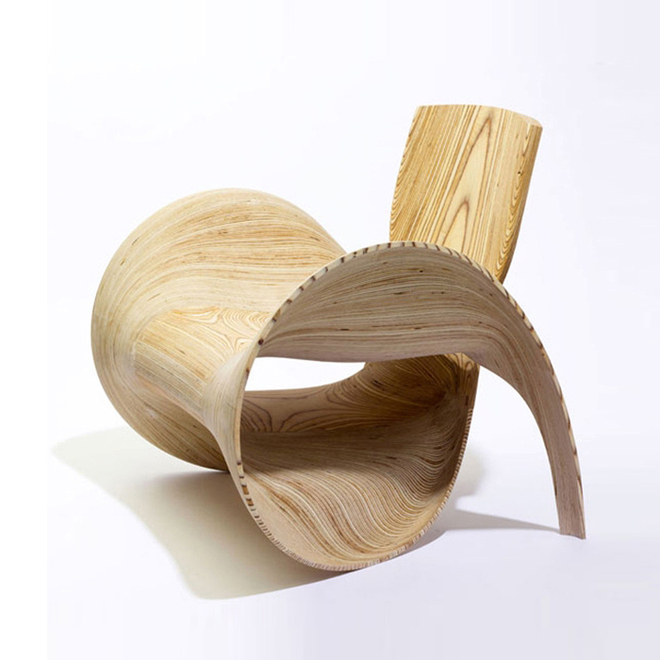 This incredible chair, made out of wood is a Sawaya and Moroni creation and a limited edition piece. 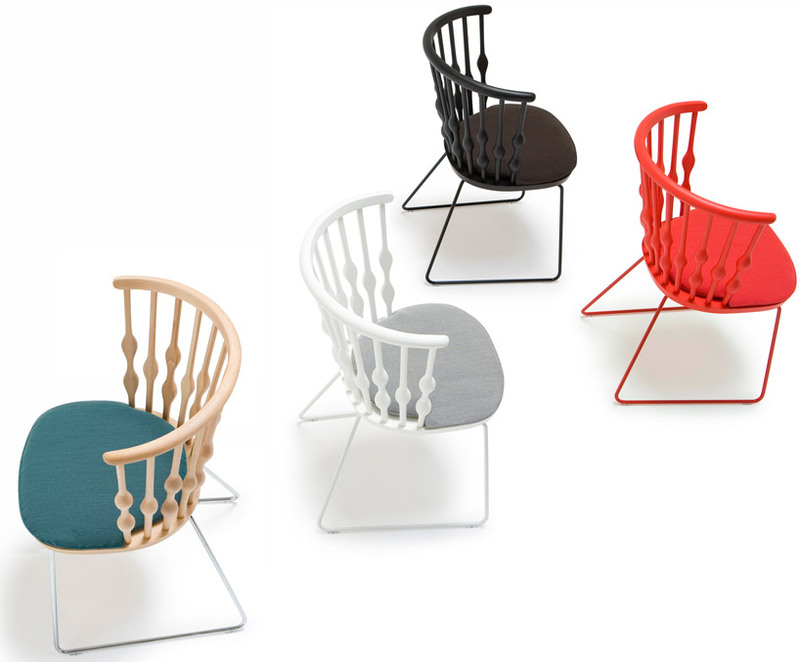 With very organic, flowing lines, this chair is almost alive. A new design manufacturing process allows this design to ebb and flow as if it were a living, breathing object. Butake Chair by Raúl Téllez Herrera applies a pixelated approach for a modern interpretation of the Mexican regional butaque chair style, executed in banak (a South American hardwood), with hidden metal frame. 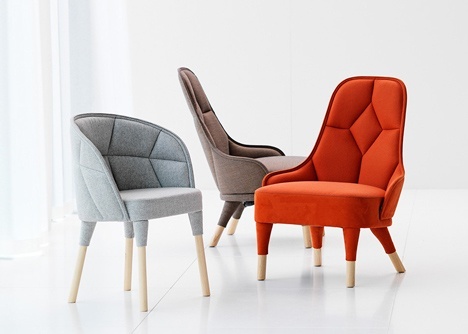 Spanish-born architect Patricia Urquiola has designed Nub, a seating object for spanish furniture manufacturer Andreu World. The armchair and lounger is a graphic take on a traditional windsor chair consisting of spindles with undulating thicknesses. This cocoon-like seat is made from cold-bent plywood and designed by a group of people within the Victoria University of Wellington. Cradle is a sustainable rocking chair created by a collaborative effort to aid people with autism and Rhythmic Movement Disorder (RMD).